Big Ten commissioner Jim Delany spoke at the SportsBusiness Journal Intercollegiate Athletic Forum on Wednesday on a number of topics regarding the state of the Big Ten. Although he didn’t provide details, he stated that the Big Ten has looked at tweaking conference play in order to make its best teams more competitive in College Football Playoff discussions. 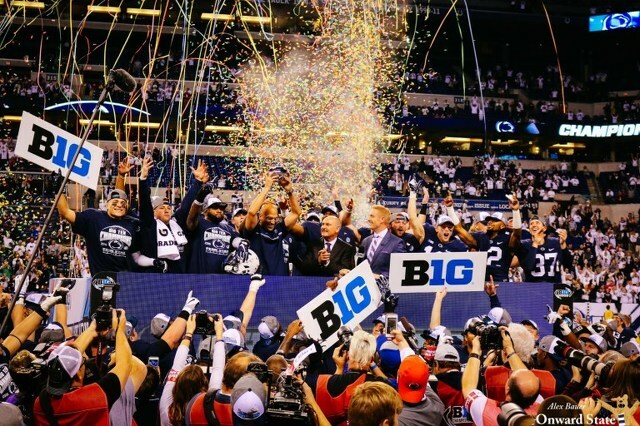 Delany talked about the future of the Big Ten Championship game at some length. Brett McMurphy reported that the Big Ten has discussed the idea of matching up the “two best teams” — likely chosen by conference record — in the championship game. The implication here is that the Big Ten East and Big Ten West would cease to exist as they do currently. “There is actually more discussion now than there was four years ago,” Delany said in reference to this potential new championship setup, according to McMurphy. Discussion of a change of this nature comes on the heels of the conference championship matchup between Ohio State and Northwestern. Northwestern had no shot of securing a playoff spot with a victory over the Buckeyes. Similarly, the Buckeyes’ win seemingly didn’t change anything in the eyes of the Playoff committee. Of course, Delany talked at length about positioning the Big Ten better for the Playoff, as the conference has been left out three years in a row. Delany explained the “1910” scheduling method, including a major intersectional game, nine conference games, a championship game and zero FCS games. “We thought, A, that would impress the committee, but also that it would be best for our fans, best for our players, and best for our TV partners,” Delany said. The Big Ten commissioner went on to say that the major intersectional opponent requirement, which leads to the tenth Power-Five game of the season, could be changed in the future. In the moderated conversation, Delany also stated that the Big Ten believes that three of its teams would’ve had the ability to win the national championship. The obvious two teams he’d be referring are No. 6 Ohio State and No. 7 Michigan. Michigan, for example, spent three weeks within the College Football Playoff top-four. The third team that Delany is referring to must be Penn State, as James Franklin’s squad came in at No. 12 in the final CFP rankings. The next-closest Big Ten team in the rankings is Northwestern, down at No. 22. Delany hasn’t always been so seemingly pro-Penn State. Before the Big Ten Championship game in 2016, Delany argued that Ohio State had “done enough” to secure a spot in the final four despite being absent from the ensuing game and losing to Penn State earlier in the season. In saying this, Delany was essentially supporting Ohio State over Penn State in the playoff if it came down to a decision between the two programs, despite the fact that Delany campaigned for only conference champions to be given a shot at the national title when the Playoff was introduced. All in all, the Big Ten seems to recognize that two losses is a non-starter for making the Playoff, so maybe Penn State fans can expect easier schedules in the future. Derek Bannister is a writer for Onward State. 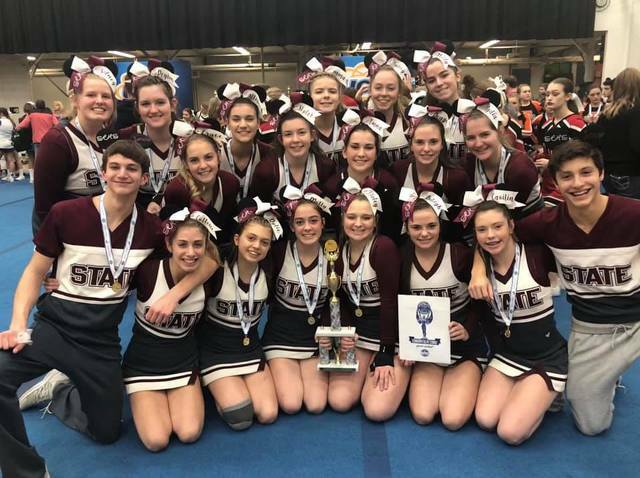 The State College Area High School varsity cheer team has qualified to compete in the 2019 National High School Cheerleading Championship.